What does it take to develop a good ERP training video? Among the various aspects you need to consider for creating an effective video-based lesson on your ERP system, the choice of the right authoring tool is inarguably the most important. Articulate Peek is one of the nine applications of Articulate 360 that can be used to develop high-quality screencasts of ERP software. 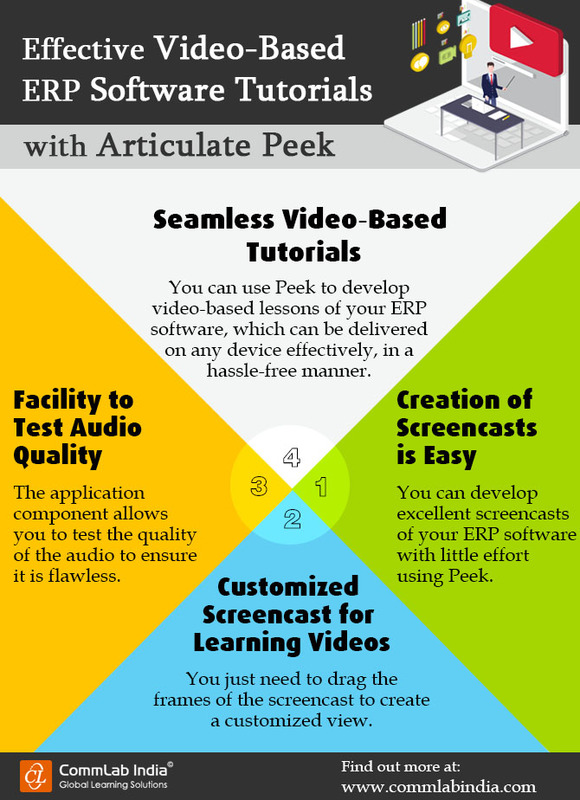 Check our infographic for the capabilities of Articulate Peek to develop effective video-based ERP software tutorials.